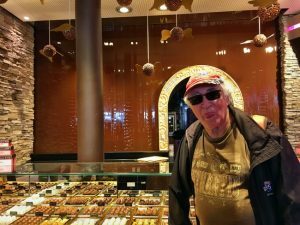 Yes, there’s chocolate shops in Switzerland. Who could resist licking that running chocolate waterfall? 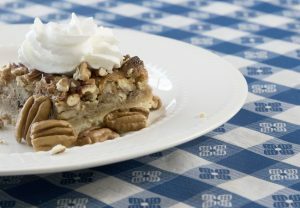 April is National Pecan month so why not celebrate by following a culinary trail dedicated to the pecan. 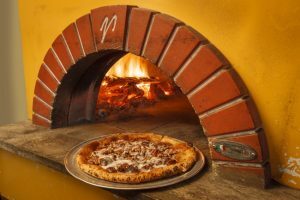 Florence is home to the South Carolina Pecan Trail, showcasing 17 local restaurants and specialty shops offering pecan dishes or products, putting pecans in the spotlight. 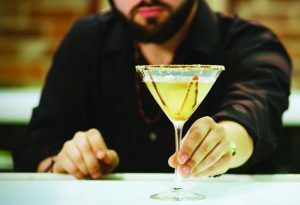 From pecan-encrusted grouper to pecan pie martinis, those venturing on the trail will experience a variety of originality. Pick up a passport at the visitors center, 3290 W. Radio Drive, or any of the participating restaurants to start the journey. Earn a stamp in the passport by feasting on the featured pecan item at each establishment. Return your passport to the Visitors Center in person or by mail for some sweet Pecan Trail swag. Show up with four stamps, and receive a charming metal nutcracker. Eight stamps will get you a drawstring bag and the nutcracker. Present a fully stamped passport and walk away with a T-shirt, drawstring bag and the nutcracker. 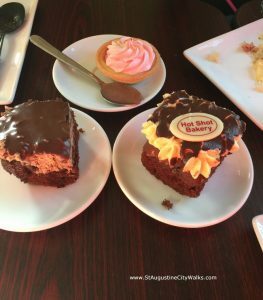 Explore the decadent delights of the nation’s oldest city on this indulgent tour of St. Augustine’s finest chocolate creations. 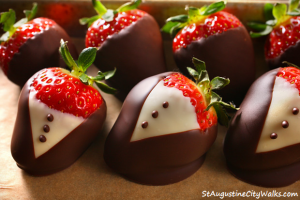 The VIP ‘ALL THINGS CHOCOLATE’ Tasting Tour is an especially delectable way to learn more about St. Augustine’s historic district, where you will get to experience the most unique chocolate selections that St Augustine has to offer. Guests will explore culinary venues, local fixtures, and off-the-beaten-path foodie hot spots to sample heavenly chocolate in all of its glorious adaptations. Samples will include wine, sauces, toppings, dips, desserts, and more. 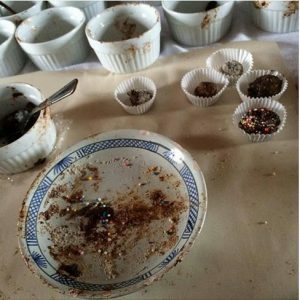 Aside from the sheer decadence, you’ll discover how chocolate played a pivotal role in influencing the history and culture of the New World, while seeing unique points of interest along the way. Imagine taking in the delicious antiquity of the old city while indulging in one of man-kinds most beloved ancient tasting treasures along the way. 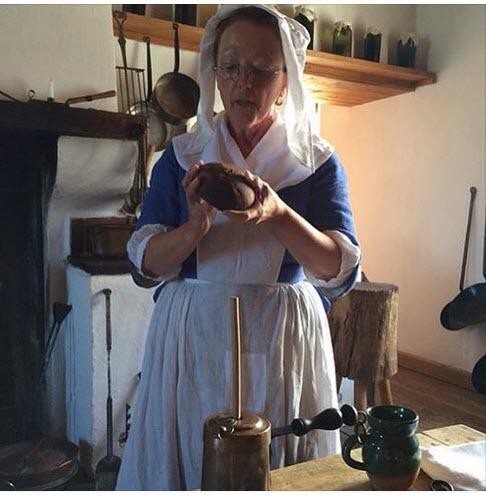 This 2+ hour tour departs from Tour St. Augustine Inc., located downtown at 4 Granada Street, on select weekend dates. Tour departs at 1 pm (check in 15 mins prior) and advance reservations are required. Visit here to book a tour. 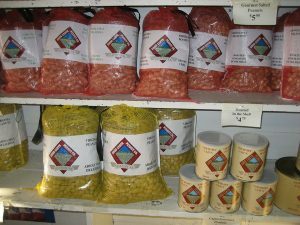 Virginia grows the largest variety of peanuts in the world. 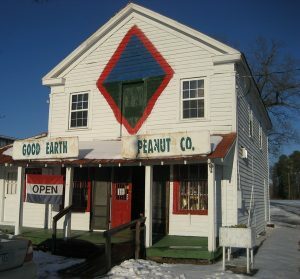 The Good Earth Peanut Company ships Virginia peanuts fresh in a variety of forms: raw and cooked, in and out of the shell. Sitting right on a 1650’s Tuscarora Indian trail which is now a railroad junction, in an old time (circa 1854) general store, this family business roasts and sells peanuts. Lindsey and Scott Vincent go beyond the ordinary nut to sell cashew brittle, wasabi flavored peas, nut berry thrill, diet trail mix, cracked pepper and sea salt peanuts, chocolate covered peanut brittle (Sandra’s favorite) and maple covered nuts, as well as pecans like key lime ones (we’re addicted to the butter toasted pecans in our salads). covered cherries. Some groceries still line the walls, like McCutcheon’s preserves and Virginia hams. You’ve gotta stop here, you won’t be disappointed, the quality and the assortment are amazing. You can even order them on-line and have them shipped to you. 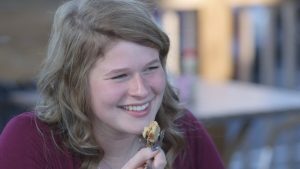 They will include information about the history of peanuts, also known as goobers and groundnuts, and how peanuts are grown. WARNING: These products are addictive! Satisfy your sweet tooth and enjoy a day to celebrate everybody’s favorite sweet, the art of chocolate. The first block of West St. (Annapolis’ Arts District) will be closed to traffic, while chocolate lovers unite and take over the street on foot for the Annapolis Chocolate Binge Festival. Under the warm glow of lights you’ll be served a FREE toasty cup of hot chocolate while you enjoy listening to music. Indulge in some family-fun, there is something for everyone including shopping, art, drinks, food, prizes, and fun for kids of all ages and did I mention chocolate. 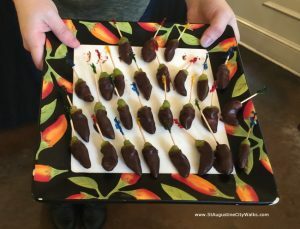 Take a chocolate tour along West Street with a dozens of vendors selling various chocolate specialties , including chocolate caramels, bars, truffles, fudge, cookies, rice crispies, fondue, chocolate fountain, candy apples, chocolate sushi, and even chocolate martinis. Chocoholics, get ready to binge! Entertainment includes: Moon Bounce, Balloon Sculptures, Face Painting, Meet Santa, McGruff the crime fighting dog, and Sparky the fire department dog, Music performances, Comedy, Ugly Sweater Contest, holiday shopping, the lighting of the West Street Light Canopy. You can roast marshmallows and make s’mores at the fire pit in the middle of West Street sponsored by the Annapolis Fire Department. Chocolate, holiday vendors, music, family friendly entertainment and holiday light canopy. All this makes for a great street party in Annapolis. Support the local arts and and We Care and Friends . Suggested $5 donation to the Annapolis Arts District-Kids are free with a paid parent donation. I just made these chocolate truffles, almost from scratch, at the Fortress of Louisbourg. Messy, but I got to lick my spoon and my fingers. Chocolate was hugely expensive in the 18th century and a pound would cost the same as a pair of shoes. You had to be wealthy to be able to serve cocoa to guests. the cocoa was served hot with spices and sugar and was used medicinally and for warmth and strength. Both women and men drank it. Ladies thought it was energizing. More than two centuries later, I think we still agree about that. On Saturday Sept 10th, My husband and I will be on Radio Centre-Ville’s Centre-Ville Consumer show with Beta Wayne. Tune to 102.3 between 12:30 p.m. and 1 p.m. and you’ll hear about our experiences in Holland and Flanders, Belgium in May. It will be the full half hour of conversation between us. There must have been great chocolate DNA in their blood because famous Belgian chocolates brands Daskalides and Leonidas were created by family members from Ghent, Belgium. Leonidas Daskalidès or Leonidas Kestekides (1876 – 1954) was born in Turkey and he was the founder of Leonidas chocolates in Belgium making pralines (chocolate shells with soft fillings) famous. In 1910, he was a member of the Greek delegation from the US competing at the 1910 World Fair in Brussels. He won a bronze medal for his chocolate confection, and a gold medal for his patisserie. On a return visit in 1913 ( World Fair in Ghent), he met a young woman from Brussels and settled permanently in Belgium. He opened tea-rooms in Brussels, Ghent and Blankenberge, and the business expanded from there. In 1935, Basile Kestekides, the founder’s nephew succeeded the founder and created a whole range of new chocolates, including the well-known ‘Manon’ of Leonidas. Still to this day the most popular chocolates are the manon, manon café, gianduja, dressé noisette, manon blanc and manon blanc café. In 1931, a Greek couple Daskalidès-Kestikidès opened a confectionary in the centre of Ghent. Home made pralines by Daskalidès become famous and their tearooms and chocolate shops grew. Dr. Jean Daskalides became famous for his chocolates under the names Daskalidès and Leonidas. He was also a gynecologist, film director, jazz musician, hospital director and lecturer at the University of Ghent. You can buy Daskalides and Leonidas chocolate in Ghent or anywhere in Belgium or nowadays, all over the world. Laurent Gerbaud, Belgian chocolatier, was so good that he was sent to Shanghai for the World Expo to show off the sweet talents of his country. However, when he got there he soured on chocolates. Gerbaud discovered that the Chinese were not used to so much sugar so making use of his creative skills he revised his recipes and started to work on tart and bitter tastes. He searches purveyors for ingredients such as South African Barrrydale apricots, Persian cranberries, Turkish figs, pepper, spicy ginger and orange peel, and mixes them with his dark dark 70 % chocolate recipe using chocolate from Madagascar and Ecuador. The Turkish figs are crunchy, chewy and just slightly sweet. One with Greek pistachios blends salt, sweet (milk chocolate) and nut crunch. There’s a salute to Belgians love for specoloos (gingerbread) by rolling a truffle in the crumbs. Gerbaud is really a chocolate pusher because once you get addicted to his intense flavor combos, it is very hard to go back to sweetened chocolate. Posted in Belgium, Chocolate | Comments Off on Bitter Chocolates? You are currently browsing the archives for the Chocolate category. 70 mySQL queries executed in 0.346 seconds.